Enigmatic but always sincere and true to himself. 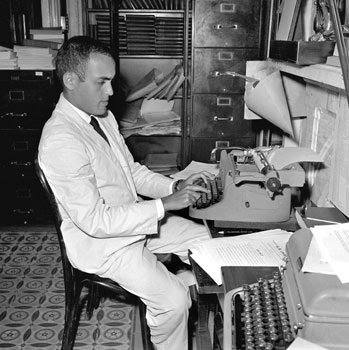 That's how I'm always going to think of Robert Novak - called and not without reason "the last of the shoe leather newspaper reporters" - who passed away yesterday at age 78 after a heroic battle against brain cancer. Novak embodied and epitomized everything that it's supposed to mean to be a reporter: working hard, cultivating sources, and never taking anything at face value. A lot of people are calling him a "conservative" commentator. I don't know if that could really be said about Novak. He was the kind of journalist who, better than most, separated his politics from his profession. But when he had to weigh in on the issues he did it on his own terms. As Novak once observed: "Always love your country — but never trust your government!" And it goes without saying: Robert Novak was a damned brilliant writer. And then today comes word that Don Hewitt has died at age 86 from pancreatic cancer. Hewitt's place in television history would have been secured for any number of things: the first nationwide satellite news broadcast, producing and directing the presidential debate between Kennedy and Nixon, and a bunch more during his more than half a century at CBS. But it was his idea for a new format of television journalism that Hewitt will be most remembered for. As he wrote in his autobiography "The formula is simple, and it's reduced to four words every kid in the world knows: Tell me a story. It's that easy." 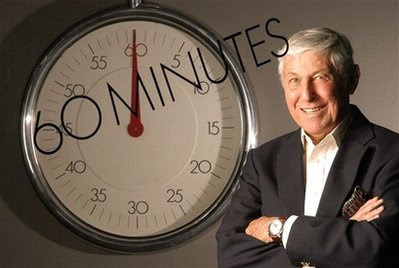 In 1968 60 Minutes premiered. It has been the most acclaimed, the most respected and at times the most feared television news program ever since. Thoughts and prayers going out to the families of both men.